Do you pick/ bite at your skin or pull out your hair and it causes you emotional distress? Does your skin picking/ biting or hair pulling prevent you from engaging in social activities? Are you being held back in life because of your skin picking/ biting or hair pulling? Do you keep your skin picking/ biting or hair pulling a secret for fear of judgment? Do you feel embarrassed that you are unable to stop picking at your skin/pulling your hair? Does this make you feel alone? You are not alone! Join us in a peer support group that meets up every month in Nova Scotia. Other Body-Focused Repetitive Behaviors that can have damaging effects on people are compulsive nail biting (to the extent it causes emotional distress), hair/skin eating, and more. 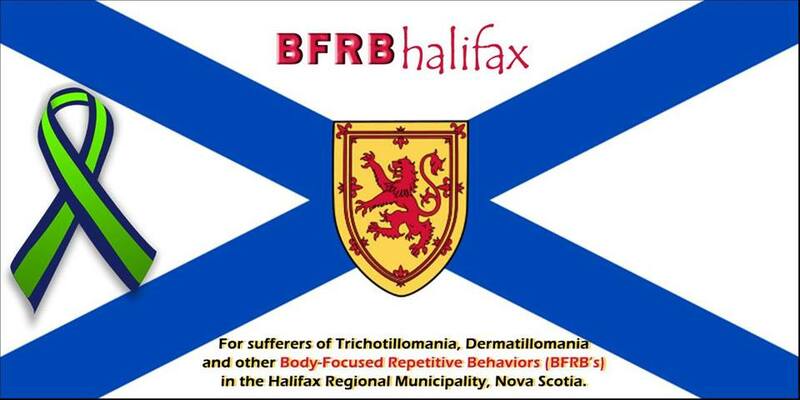 To learn about how to become a member of BFRBhalifax, e-mail Angela at angie @ skinpickingsupport.com. Information you provide will remain confidential. If you do not live in Nova Scotia, Canada, and still want to participate in a support group in your province, visit the Canadian BFRB Support Network’s website to learn of other BFRB meetups in Canada. US citizens can check out the Trichotillomania Learning Centre’s website to find out about the support groups in your state. All other support groups outside of North America can be found here. If your area doesn’t have a support group, check out information on how to start one by contacting TLC (info @ trich.org) for US and worldwide inquiries and CBSN (groups @ canadianbfrb.org) for Canadian inquiries. There are many sufferers out there who, like you, are looking to connect with someone who understands their situations but don’t know how to reach out. Note- when e-mailing these contacts, please remove the spaces surrounding the “@” character. They are placed there to prevent spam from being directed to the addresses listed.